Some cats prefer large litter boxes so they have plenty of room to dig in. Arthritic, overweight or very small cats need a lower point of entry. 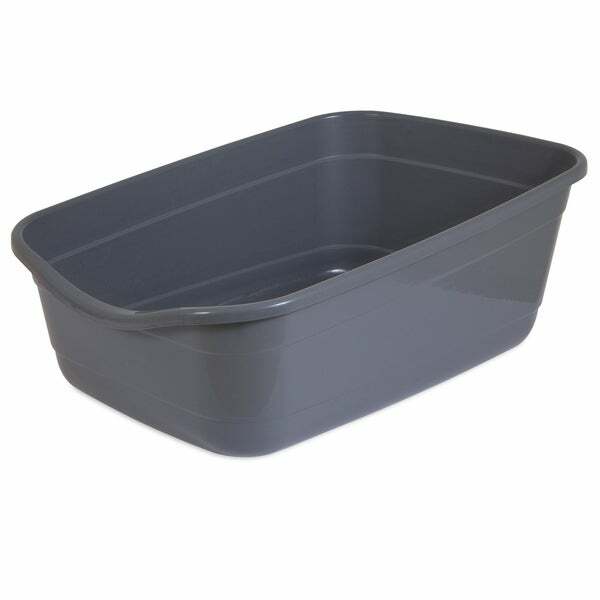 The Giant litter pan can hold up to 30lbs of litter allowing for flexible filling levels of litter depending on the cat's needs. The swoop design front entry addresses cats that need a lower entry. Dimensions 25.56 In. X 18.3 In. X 10.02 In.